This badge gives the same buff as dragonblaze it just refreshes CD on the buff. This doesn't stack with the dragonblaze buff. Do not get this badge. 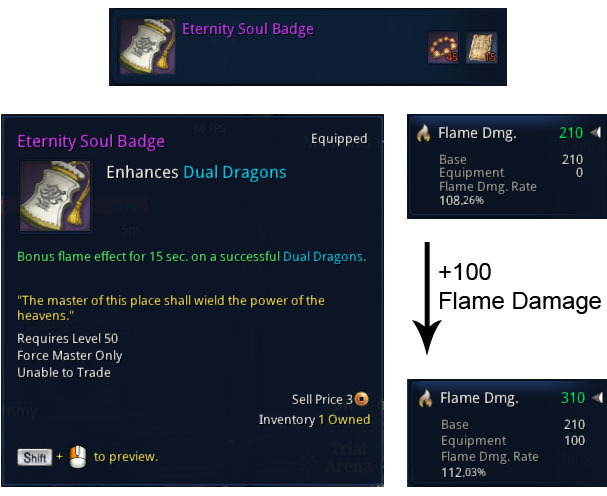 Couldn't find any information on the Eternity Soul Badge. 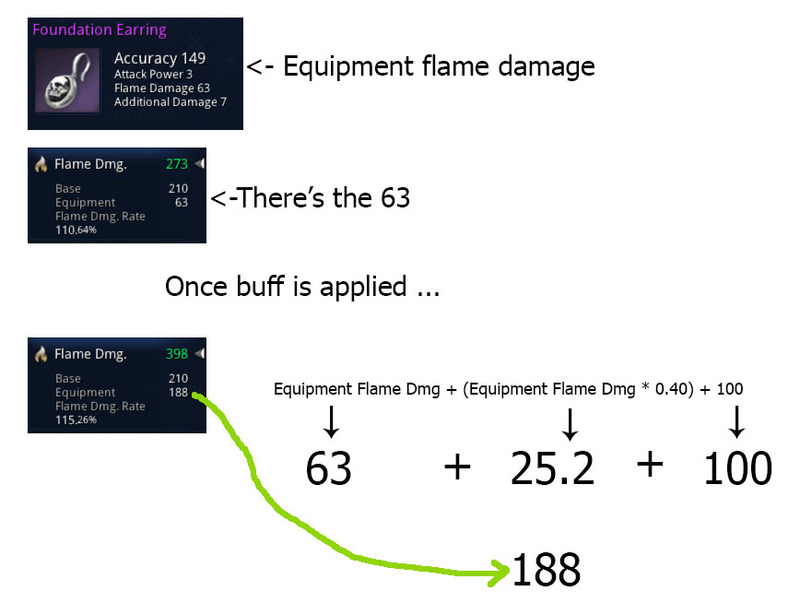 Here an accessory with 63 flame damage being equipped. Yes it is useless. Dont even try getting it. Too much effort for nothing. You save only 1 use of dragonblaze every 12-15s but you lose the big bonus damage on every meteor. Well this thread is pretty old, but what about if you have hm blazing beam (Dual Dragons CD -1sec on crit) and you're doing dual dragons every 10 or so seconds anyways? this would be easier with msp ss, but totally possible without. With the insane end game crit rates, you could easily have 100% uptime on Eternity's effect, and the Tiger bracelets buff that relies on dual dragons. just a thought, let me know if this doesnt add up. Eternity works decently as a single badge after the may 9th class balance changes. The problem with it, however, is that there's no good fuse option for it and glory badge (-20s on inferno after dragonblaze) is too good to pass by. So even post-patch you'll want to run invincible (best in slot, but makes rotations harder for optimal damage output) or the current BiS ancestral. You might be right but the damage difference sould be tested. The -20s on inferno seems to be pretty strong tho. I did some quick parses. Seems to be a 5-7% dps loss over decent ancestral rotations on Aransu 6 + 8set vt (450k max sustain with eternity, 470+ with ancestral). The lower your weapon stage, the bigger the dps loss due to lower beam modifiers. Should also be noted that if you don't handle the constant cooldown/buff juggle from ancestral well, then eternity probably gets even since it's so much easier to manage. That said, I might recommend eternity as an alt badge now. 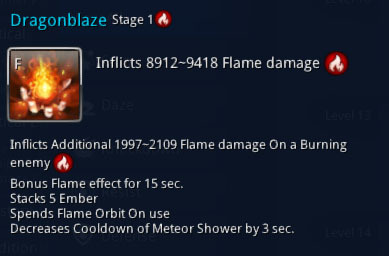 It makes you rotations incredibly easy when you disable dragon blaze and probably outdps's just a plain glory, courage or primal force badge (can't be bothered to do the testing with skyrift mystic badge for those). If only you could fuse eternity with holy fire. Thanks for your time and for the info!